In order to ensure the sustainability of the game and offer players the best experience possible, DOFUS Touch announced that they will make some modifications in the game economy. 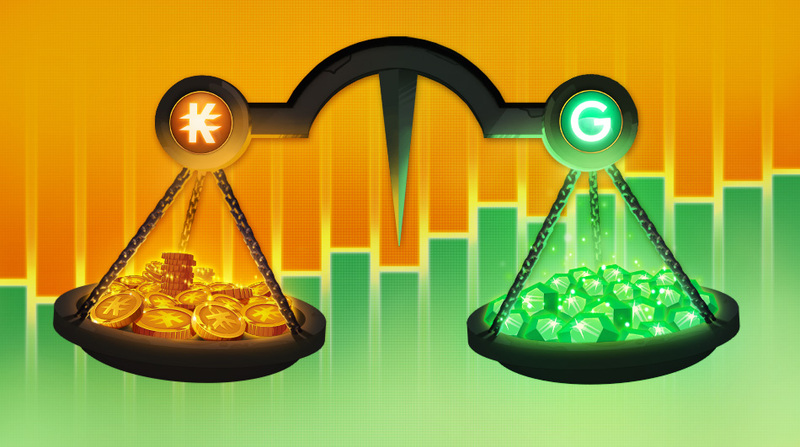 DOFUS Touch producers are constantly working to balance the economy of the game since the launch of the game. The balance of Kamas - Goultines is not perfect enough to make the producer satisfied. To explain it simply, too many kamas are generated and not spent, which already disrupts the economy at stake. Therefore they decided that some adjustments should be made. The changes will start next week, then let's have a look at the details. There are some different measures to be applied. The changes will start with the increase in the sales tax. The current sales tax of 2% will increase to 3% from January 12, 2017. If this change is at first sight minimal at the level of a single player, its impact on the scale of the game will allow them to ensure the stability of the economy on all the servers avoiding a breeding of kamas. The official site staffs are actively working on the bots who obviously pose a problem for the economy to anticipate players' returns. Items from the shop as well as those distributed by the Community team during activities, events or contests will now be linked to the account as of January 12, 2017. This is not retroactive. The objects of the shop often ended in the Auction House, lost value and competed with the other objects of the game: which is not the primary objective of the shop or events. This will prevent us from depreciating these objects and giving them more value to your eyes. This will also allow us to have more fun and merit based community events for you with exclusive or almost exclusive objects: if you have such object, you are the winner of such activity! This measure can help balance the gambling economy better by avoiding aberrant rates, while fighting more effectively against fraud or theft. Truth be told, some players think this time's update may make the game experience worse for everyone just like in the PC version, some weird counter measures is done. Whatever, these decisions won't be changed even if it will make many players unhappy. In order to provide more conveniences to our gamers, www.dofustouch-kamas.com offer a kamas promotion that allows players to buy Dofus Touch Kamas with 3% discount by take advantage of the coupon code "GOLD-BCW25". Click here to view more.